In 1941, President Franklin D. Roosevelt declared December 15 to be Bill of Rights Day, and it continues to be recognized. You might also be interested in The Best Sites For Learning About The Constitution Of The United States. EL Civics has a Bill of Rights Lesson designed for English Language Learners. Life Without The Bill of Rights game. You can find links, lesson plans, and downloadable materials I developed for teaching the Bill of Rights to my United States History ELL class here. The Bill of Rights Game comes from the Annenberg Foundation. That’s Your Right Game from Annenberg. Your Bill of Rights is an impressive feature from TIME Magazine. 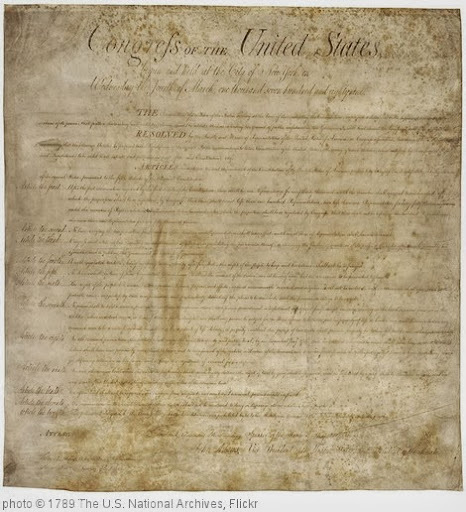 Records of Rights is a new interactive site from the National Archives. It highlights First Amendment rights, Native American rights, workplace rights, equal rights, rights to privacy and sexuality, and more. Thanks for featuring our resources on your website! We were thrilled to see our name in one of your posts. Did you end up using any of our materials in your classes?